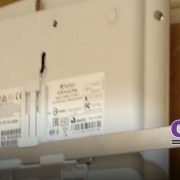 In our experience diagnosing, repairing and replacing these poor installs, we have seen first hand the many mistakes made by less experienced engineers, and today we will be highlighting 4 of the most common issues with distributed audio and video. 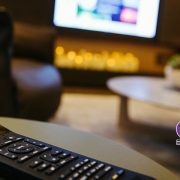 When you bring video or audio source components, such as cable boxes, Apple TVs, or streaming devices, to a central location they are no longer locally connected to a specific device. This allows the end user to access any device from any screen or pantel in the home. These redundancies are also created to protect against failing equipment, if one piece of equipment fails the user is immediately moved to a backup device with zero downtime. 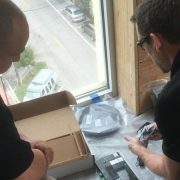 We see all too often integrators and a/v professionals placing these components local to each room, cluttering the physical space and over complicating the system at large. When your control and distribution system is dealing with high resolution 4K video, you inevitably run into issues with HDCP. Short for High-bandwidth Digital Content Protection, HDCP is put in place at the content level as a measure to prevent copying of digital audio and video content as it travels across connections. As digital piracy becomes more and more sophisticated, HDCP protocols change, which means control systems need to be built in such a way to accommodate these changes without the end user noticing. This is the number one point of failure for high end video distribution through Crestron control systems, and can only be combated by the proper programming and design of the automation system itself. Simply expecting 4K video to seamlessly stream to devices throughout the home is a recipe for failure. When integrating and distributing audio throughout a home or office, it is important to have a consistent sound quality and level throughout the space. Many other vendors will make the mistake of pushing out too much voltage from the system core, causing potential failure throughout. 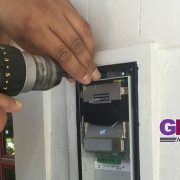 The reality is that proper distributed audio systems should be built around 70 and 100 volt systems, also known as “constant-voltage”, 70 Volt and 100 Volt speaker systems allow for long wire runs using small-gauge wire, and provide the potential for connecting numerous speakers per circuit. This technology allows us to run a single wire and hook up as many speakers to it as our heart desires, as long as we are putting out the proper wattage on the head end. When building and programming our Crestron control systems, it’s important to anticipate the client’s needs even years down the line. This means building our systems with room to be expanded and upgraded, without sacrificing the user experience. Our code is written and the system infrastructures are built to allow for a video or audio component to be upgraded or replaced, without the end user needing to learn any new commands or build any new habits. The only difference to them will be the increased quality of their video or sound. Systems are segregated from one another and operated through a central control hub, which allows these upgrades and expansions to be done quickly and efficiently. Are you considering a luxury automation system for your home, including distributed audio and video? 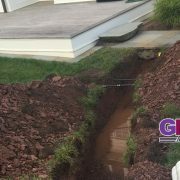 Contact GMI today and learn how our experience can get it done right!